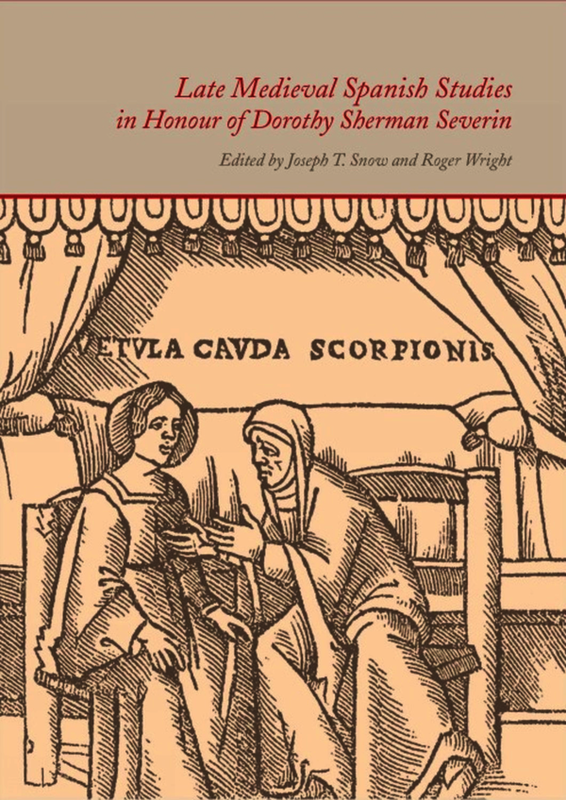 Dorothy Sherman Severin, who retired in 2008 from the Gilmour Chair of Spanish at the University of Liverpool, is an internationally renowned scholar in the field of the Late Medieval literature of Spain, with particular expertise in the study of Celestina and of the Cancioneros. In this volume, nineteen of her academic admirers have contributed original chapters in her honour, mostly on these same topics, under the editorship of the Hispanist Joseph T. Snow and Professor Severin’s Liverpool colleague Roger Wright. The contributors are: Rafael Beltran, Patrizia Botta, Alan Deyermond, Louise Haywood, Eukene Lacarra, Jeremy Lawrance, Francisco Márquez Villanueva, Manuel Moreno, Carmen Parrilla, David Pattison, Regula Rohland de Langbehn, Joseph T. Snow, Barry Taylor, Lesley Twomey, Mercedes Vaquero, Louise Vasvári, Julian Weiss, Jane Whetnall and Roger Wright. This volume is an important tool in Spanish Medieval studies for specialists as well as those relatively new to the field. Joseph T. Snow of the Department of Romance and Classical Languages, Michigan State University is an expert on medieval Spanish literature, known everywhere that Spanish literature is read and studied for his original work on the Celestina. His critical edition and bibliography of this work have been called "the indispensable starting point for research in this field". Roger Wright is Professor of Spanish at the University of Liverpool. Professor Wright's teaching, publications and research interests lie in Spanish Linguistics (in particular the history of the language) and Spanish oral literature. He is a leading international authority on Late Latin and the development of vernacular Romance languages.